Dubai, the city of skyscrapers, gets another travel attraction on its list - the world's tallest hotel, Gevora, that opened to public today. 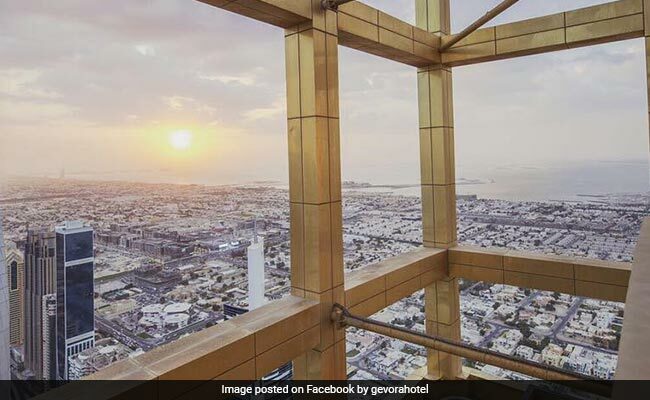 World's tallest hotel, Gevora hotel, opens for public in Dubai. Dubai, the city of skyscrapers, gets another travel attraction on its list - the world's tallest hotel, Gevora, that opens to public today. The global city also boasts of the world's tallest building, the Burj Khalifa, which is 828 metres tall. 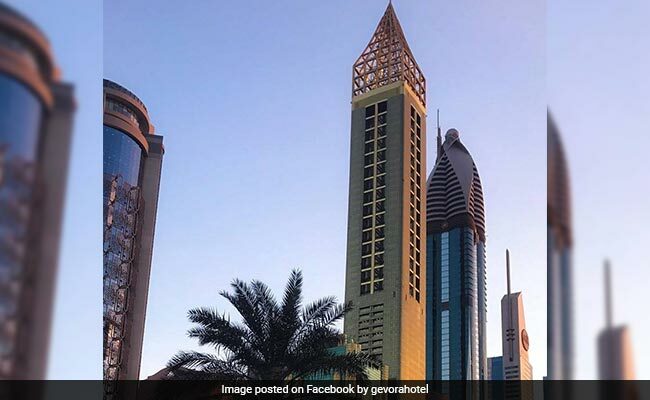 Gevora hotel is the new record holder which is only one metre taller than its predecessor - Dubai's JW Mariott Marquis. While Gevora hotel has 75 storeys and is 356 metres tall, the JW Mariott Marquis has 72 storeys and is 355 metres tall. The world's tallest hotel is three times taller than London's Big Ben, 56 metres taller than Paris's Eiffel Tower. 1. 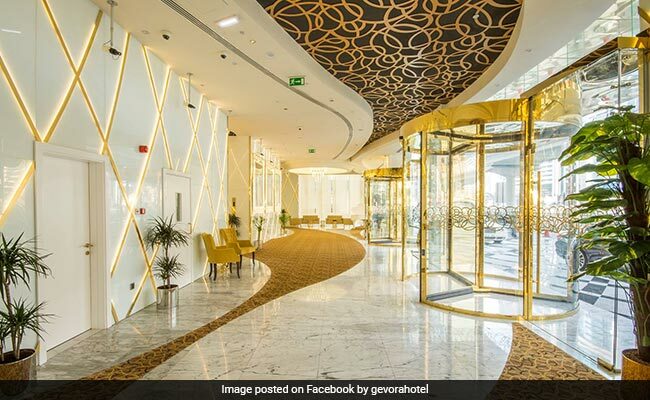 The guests enter the world's tallest hotel in Dubai through gold-plated revolving doors. The decor and ambience of the hotel is every bit luxurious. 2. At the rooftop of the world's tallest building is a restaurant that gives panoramic view of the city. On the menu of the restaurant are international and local cuisines. 3. Another key attraction is that Gevora hotel has the highest pools overlooking the highest building in the world - the Burj Khalifa. The Gevora hotel is 356 metres tall. 4. The hotel, located on the Sheikh Zayed Road near the Dubai International Financial Centre, has 528 guest rooms and suites and four restaurants. The Gevora Hotel has six elevators and a total of 3,859 stairs. 5. The world's tallest hotel has all opulent comforts including pools, jacuzzis, health club and a luxury spa.